Concert for a Cure proudly honors Scott Design for 5 years of commitment and support to help Cure SMA create a world without SMA. Kirsti and Matt Scott have been supporters of Concert for a Cure from the very beginning. As Concert for a Cure grew, so did our need for more eye catching, sophisticated and professional designs. In our early years, our decorations were simple balloons, but when hosting an annual event, it’s vital to create a new experience for our loyal supporters. In 2011, Mary approached Kirsti with a huge ask… would the Silicon Valley award-winning Scott Design firm, whose client list includes Adobe Software and Intuit, be willing to help us create an exciting and fun look that would help us grow our support base? Kirsti and Matt responded… “We would be offended if you didn’t ask”. Matt and Kirsti have been lifelong friends of the McHale Family, beginning with Matt and Tom McHale’s (Joe’s brother) kindergarten beginnings and had been supporters from our earliest days. When our planning team began to work with Kirsti, she took us from clip art to WOW! Each year, she created a fresh graphic design that enticed our guests. Our attendance has steadily grown 30% since her talents joined our team. Not only are Kristi’s designs professional and engaging, they enable the planning team to have fun extending the theme to all elements of the event. Kirsti is our art-mentor and creative genius! This year, we found out that communications were not reaching our audience. Again, Kirsti offered to take this on for us, utilizing the professional tools that Scott Design provides their paying clients. With their marketing and design expertise, we have engaged hundreds of new supporters for Cure SMA. We ask you to join us as we thank Kirsti and Matt Scott of Scott Design by honoring them with Concert for a Cure's 2016 Shining Star Award. It is our wish to show our deep appreciation for their support to make SMA treatable and curable. Concert for a Cure proudly honors Team Logic IT for 14 years of commitment and support to help Cure SMA create a world without SMA. Dave and Wendy Thompson have been part of Concert for a Cure from the very beginning. We couldn’t produce our event without the dedication and support of Team Logic IT and their volunteer team including Tim and Kerry Fahey, Mario Diaz, Rich Calosso, and many more. Weeks before our big night, Dave provided office space and time to train our volunteer team so they are comfortable working with our auction software and understand our goals to make check-in and check-out a great experience. Team Logic IT has graciously supplied our event with the computers, printers and any electronics needed. Dave is always there early to spend several hours setting up to ensure that check in/out runs smoothly. Each year Team Logic IT and their team seek out ways to improve our processes and procedures, so that our guests’ first experience and lasting impression of the evening is one of enthusiasm, support and commitment to bringing a cure for SMA. For us though, one of the biggest gifts they give is handling the technology headaches for us. Dave and Wendy’s commitment and enthusiasm is demonstrated in their smiles and willingness to help year after year and they consistently humble us as they go above and beyond to support us. Dave and Wendy were at our front desk on their own wedding anniversary one year! Even in years when they had a conflict, they trained everyone in advance and even arrived at the end of the evening to make sure everything went smoothly. We ask you to join us as we thank Dave and Wendy Thompson of Team Logic IT by honoring them with Concert for a Cure's 2015 Shining Star Award. It is our wish to show our deep appreciation for their support to make SMA treatable and curable. Concert for a Cure proudly ﻿honors﻿ True Wireless for 5 years of commitment and support to help Families of SMA create a world where SMA is treatable and curable. Five years ago, we asked Rob Chamberlin, if he would be a sponsor. Rob had recently attended a men's retreat and received the message that to increase your business' success, it is vital of give back to your community. As a neighbor of the McHale family, Rob and his wife Tamara had attended Concert for a Cure for many years and committed to make a significant difference in our success. Rob also asked his employees for their support. Rob's team took us into their hearts as they helped to secure donations, teach us marketing strategies, and provide encouragement. Rob gave his team this unusual challenge "let's be the factor the 'moves the dial' for our success". Rob organized staff competitions and allowed some use of business time to help Concert for a Cure. Rob personally worked to increase our numbers by inviting new friends to attend. His staff, led by Brie Peters and Christine Bergman consistently came to our rescue to fill our missing pieces, connected us with vendors who could help, and most importantly encouraged us on the importance of our efforts. As they began the development of a new start-up business, DataXoom, this team continues to recognize the need to pay it forward and joined us as a new sponsor. Therefore, we ask that your join us as we thank Rob Chamberlin and the entire True Wireless team by honoring them with Concert for a Cure's 2014 Shining Star Award. ﻿Concert for a ﻿Cure﻿ proudly honors the Aveson Family for 13 years of unwavering commitment and support to help Families of SMA create a world where SMA is treatable and curable. As well as being Danny McHale’s aunt and uncle, Cathy and Rob Aveson are also his Godparents – and were there on the day he was born. Six months later, on February 8, 2001 when Danny was diagnosed with SMA, they sought ways to help. As Concert for a Cure grew from backyards to community centers and to here, at Blackhawk, so did the Aveson family’s commitment and support. During the downturn of the economy, the Aveson Family stepped up and became financial sponsors at a time when many sponsors turned us down. Their faith and contribution helped lift the burden of putting on this event. But more importantly, they gave us their moral support to let us know we should continue this fight. Over the past 13 years, Rob and Cathy have continued to stand by our side in our pursuit for treatments and a cure for SMA with financial sponsorship, personal donations, as well as volunteering and strong participation at each event. Their children, Brian and Diana Aveson, Kevin and Kylie Aveson and Kate Aveson witnessed their parents support and have taken up this cause as their own. They have helped in many ways – helping with event planning and preparation, bringing new guests, selling raffle tickets and even bringing in new auction items. During Danny’s stressful and sometimes frightening health crises, the Aveson family has always embodied the light of hope. The Aveson’s have been a rock for Mary and Joe to lean on during difficult times and have been there to celebrate every milestone achieved. Therefore, we ask you to join us as we thank Rob, Cathy, Brian, Diana, Kevin, Kylie and Kate Aveson by honoring them with Concert for a Cure's Shining Star Award. ﻿﻿Concert for a Cure proudly honors St. Joan of Arc Ministries for 12 years of unwavering commitment and support to facilitate our fundraising goals in support of Families of SMA. St. Joan’s parish has been there from February 8, 2001; the day Danny McHale was diagnosed with SMA. Concert for a Cure originated in the backyard of parishioners Connie and Ed Book, who not knowing the McHales’ personally, were moved to help. As CFAC grew, CFM, a small group faith program of nearly 40 families, worked to make a cure a reality by annually providing amazing donations and serving as our army of volunteers to organize and help make each year a success. The SJA Youth Ministries programs, led by Bob Cummings, have provided assistance in the form of youth volunteers and service to help throughout the year and have dedicated sales at their annual musical performance to sponsor our evening. Knights of Columbus members have served as volunteers for our check-out and have also been financial sponsors. ﻿﻿Concert for a Cure proudly honors Piatti Ristorante & Bar for 10 years of commitment to our fundraising goals in support of Families of Spinal Muscular Atrophy (FSMA). Piatti Ristorante & Bar, under the leadership of John Perkins, has been with us from the beginning. When Michelle Nicholas offered to host this event in our second year, she wasn’t quite sure where to begin. Michelle talked to John about children and SMA and John asked Michelle if she would like Piatti to provide the appetizers. We were wowed then and continue to be ever since. Like most popular businesses, John is inundated with requests for help, but he has always kept this event in his priorities. Every year, John has helped with food, wine, gift certificates and even elegant meals as prizes for our dinner auction. Over the past 10 years, Piatti and John Perkins have continued to stand by our side in this fight for a cure with financial sponsorship, personal donations, auction items, volunteering and strong participation at each event. Even during difficult times, John has always been our shining light of hope. 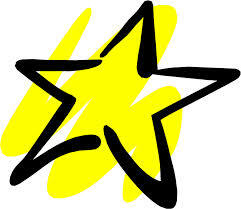 Therefore, this year we thank Piatti Ristorante & Bar by honoring them with Concert for a Cure's 2011 Shining Star Award. ﻿Concert for a Cure proudly honors Empire Reality for ten years of commitment to helping facilitate success with our fund-raising goals in support of Families of SMA. Empire Reality, with the leadership of Raelene Sprague, has been there from the beginning with tissue in hand and support in a hug when the children were newly diagnosed with SMA. Over the past ten years, they have continued to stand by our side in this fight for a cure with financial sponsorship, personal donations, auction items, volunteering their time and strong participation at each event. Even during times of distress or darkness, the people of Empire have always been our shining light of hope. Therefore, this year we thank Empire Realty by honoring them with Concert for a Cure's first Shining Star Award.